If you’ve spent any amount of time on Instagram, you will have most likely seen “before and after” shots of women who have just gotten eyelash extensions. If you’re as easily influenced as I am, then you’ll know that seeing those pictures is enough to make you want to call your local salon and book an appointment. Long, dark lashes everyday.. without putting on makeup? But before you pick up the phone, there are some things to consider about getting eyelash extensions – the pros and cons of eyelash extensions, if you will – from someone whose life literally revolves around lashes, and who received lash extensions semi-monthly for over a year. A quick note: False eyelashes and eyelash ‘extensions’ are not the same. Falsies are very temporary–used for 1 day–while lash extensions are semi-permnanent, lasting “up to 12 weeks”. Eyelash extensions are literally little fake individual eyelashes that are glued one by one to your natural lashes at the base, by an aesthetician. The extensions “grow out” with your natural lashes, and fall off when the lash does. Lash extensions semi-permanently enhance the length, thickness and fullness of natural eyelashes. Quite the bang for your buck. There’s three types of eyelash extensions you can choose from: synthetic, silk and mink. Size availability ranges from 6mm to 17mm. The cost of this service can range anywhere between $100 to $500, depending on the type and number of lashes applied, and the entire process usually takes an hour to two hours. Eyelash extensions normally last around 3–4 weeks, at which time they begin thinning and falling out (Source). The pros of eyelash extensions: You get all the drama of false lashes, without the artificial look or visible lash band. Not to mention – you wake up looking fabulous every day, without working for it. Mascara? Eh.. forget it. You don’t need it now, super woman. Eyelash extensions are pretty much your natural lashes on steroids. Lash extensions are the definition of instant gratification. It can take weeks or months to see results from your best lash-growing efforts, vitamins or eyelash serum, but with eyelash extensions you get longer, thicker lashes within hours. All while you were laying there in a spa with your eyes shut. That’s what I call heaven. Now onto the cons of lash extensions: With great lashes comes great responsibility, and oh, honey are these a responsibility. “Low maintenance” and “eyelash extensions” are two phrases you will never hear used together (except maybe by the aesthetician while she’s trying to sell you on the service). You have to go and have them filled every 2-4 weeks otherwise they will shed prematurely and you will be walking around looking like a hot mess. This can be time consuming, as each session can take up to two hours. Not to mention the cost of each procedure can add up quickly. You also can’t use ANY oil based cleansers or products that would touch your lashes (incuding WINK and SHINE), so there could be an additional cost to purchase new facial cleansers and makeup removers. Say goodbye to your double cleansing routine! (Paula’s Choice). Who can stand that?!?! Spider leg lashes are the WORST. The extensions fall out with your natural lashes, which fall out over the course of a lash cycle (8-12 weeks). So you’re losing extensions along the way to your fill. This means the only time you’re going to look THAT fabulous – like the first b&a photo – is when you walk out of the spa. That’s it. Then you’ll be biting your nails and picking at your lashes until your next chance to feel good, 4-6 weeks later and $100 lighter. If that picture and little rant didn’t do it for you, here’s more: you have to wait 12-24 hours before showering after getting eyelash extensions. And when you do, you need to be careful, as getting any water directly onto your lashes can weaken the adhesive and cause them to fall out prematurely. After taking a shower, be sure to lightly blow dry your extensions as they naturally arrange themselves into a crisscross formation when wet and can resemble spider legs. (Harper’s Bazaar). Have you ever blow dried your eyes? I’m sorry, I just had to stop at that one. If you are blow drying your eyes, you may want to rethink your life priorities. Just saying. Did I say cons? Here are the super cons of lash extensions: Those with sensitive eyes can have an allergic reaction to the adhesive used when applying eyelash extensions. Particularly those formulas that contain formaldehyde. Yes, that formaldehyde is the same formaldehyde that you may remember from biology class, as it was used to preserve the dead animal you dissected. Back in 2012 Kristin Chenoweth appeared on The Late Show with David Lettermen and explained how she got “eyelid lips” after an allergic reaction to the glue used during an eyelash extension procedure (source). If you experience any burning or discomfort while getting eyelash extensions, you should speak up! The procedure itself is supposed to be painless, so this could be a sign that there is something in the glue that is causing an allergic reaction. Why did you do this to me, Megan?! Because I went through the emotional, cash-zapping cycle of lash extensions myself. It’s what inspired me to create WINK in the first place. I had heard of lash extensions before, and started to notice more celebrities wearing them in lieu of lash strips. I waited until I found a Groupon for a $150 full set, and I went for it. The place was out in Everett – a good hour bus ride away from MIT. Not a problem, this was just a trial. The appointment lasted about 2 hours and I was terrified the whole time of getting glue in my eyes. She picked and pulled at my lashes as she applied extensions: I was one of her first clients. I wasn’t “wowed” by my extensions at first; they were a little wonky. I kind of wanted to cry when I first saw them, but that would dissolve the glue. This took a long time and time is the most valuable resource you have at MIT, so I hopped on the bus and went back to school. The aesthetician had told me no mascara unless I bought their special mascara made by the lash extension company (which sounded like a bunch of BS to me), so I passed on it until I could find a good formula for lash extensions. So I was stuck with these weird, wonky lashes. My friends didn’t say a word when I got back, which I knew was bad. That’s a “no”. Lashes were criss-crossing everywhere and it wasn’t pretty. I brushed them into place. They were fine, not great – just whatever. But they looked so good on celebrities! I knew I couldn’t give up yet. Like a gel manicure, lash extensions are something that you can’t remove by yourself very easily. Unlike a manicure, you can’t “go without” when your budget doesn’t allow. You are now a slave to your lash extensions. I went back in 4 weeks. No problem. She fixed them up. Another $80 and 4 hours. A little better this time, but still kind of wonky. The more time and money I spent on my lash extensions at the spa, the more time and money I spent on them outside of the spa. I brushed and rearranged them. I constantly felt them and “lifted” them with my finger (no lash curling with extensions!) When I felt the bottom of one starting to come loose from my natural lash, I peeled it off. The only problem was, you can’t just peel a lash extension off. If it starts to come loose, you basically have to live with this weird hard fake lash poking out/poking your lid or eye, or you have to pull out the lash altogether. Most often, while trying to separate the false lash from the real one, I did the latter. It’s no wonder my lashes were in such poor shape when I started creating WINK! I was so OCD about my extensions that I couldn’t help put force myself into short, crappy lashes. Soon, I started getting fills every 2 weeks. $80 every other week is a lot for a college student. The 4 hour trip every other week was GPA death for an MIT student. On my final trip, my aesthetician told me that I needed to “take a break”. She said that she couldn’t even attach extensions to my natural lashes because they were so short now. “Because the extensions have been weighing down your natural lashes,” she said. “But they’ll go back to normal soon! No worries!” she chirped. My semi-monthly lash habit had forced my natural lashes to become even shorter and more sparse than they were when I started all this, by weighing them down (singalling them that the growth cycle was over, and they could stop growing longer) and causing trauma to my follicles by pulling out the loose extensions. I literally was paying to destroy my natural lashes. That’s the day I quit extensions forever. I looked in the mirror and cried a little at my lash’s destruction, then set out to find a solution. 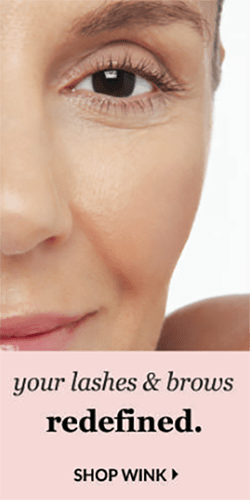 Conclusion: Are Lash Extensions for You? While eyelash extensions are expensive, and high maintenance, they can also give you the lashes you have always wanted and enhance your natural beauty. You should spend time researching different technicians in your area, and always make sure they are licensed and certified. Avoid eyelash glue that contains harmful ingredients like formaldehyde, as they can cause an allergic reaction. From my personal experience, you want them on until you want them off. Then you really want them off. I loved the compliments, but I hated the investment it took and eventually the toll it took on my natural lashes. If you don’t have the finances, time, or energy and are allergic to the eyelash adhesive used for eyelash extensions, fear not! You can still make your eyelash dreams come true with a growth enhancer like WINK and some seriously good mascara / techniques. The end results might not be quite so dramatic, but you will thank me later. Gentle Reminder: This blog contains affiliate links below. Clicking on OR purchasing through them helps keep this type of content free, so click as much as your heart desires <3 Thanks for reading! I am so glad that I read your post about Lash Extensions! I think you have saved me a lot of time, money and stress! I hope so! As awesome as lash extensions looked, they really just caused me a lot of extra time and stress in the end. I was better off with trying to naturally enhance what I already had. Hi Megan. I know this is an old post but I have been wearing extensions for a few months now but they have damaged a lot of my real lashes it appears and I’m in process of trying to let extensions fall out on their own and it’s not an illusion they are shorter and sparser. Will my lashes grow back? Should I use latisse? Oh noooo!! Yes, rubbing can take off natural lashes, too. Sorry to hear about your experience 🙁 Our lashes are precious! After 12+ months of eyelash extensions I’ve let mine naturally fall out. It’s a relief from the maintenance and cost but I feel ugly by comparison ! Once you start it’s a hard cycle to break. My eyelashes are in terrific shape however – I wanted to mention that a good salon will be prudent with the weight and amount of lashes they apply to avoid destruction of your natural lashes, it’s how they maintain their professional reputation and repeat business. So even if you wanted to go crazy with huge lashes, a good salon or technician won’t let you! I’ve had good and bad eyelash work done, the bad almost deterred me from ever going back but I’m so glad I did, after much research. It’s definitely worth researching good salons and settling in for the long haul ! Yes it’s REALLY tough to stop using. Sounds like an addiction, because it is!! To complicate the potential risks, I also am borderline OCD and would pick and pull at the lashes if they weren’t 100% perfect. I know I did a lot of damage to my natural lashes. However, I can safely say that 4 years later I am really happy with my natural lashes. 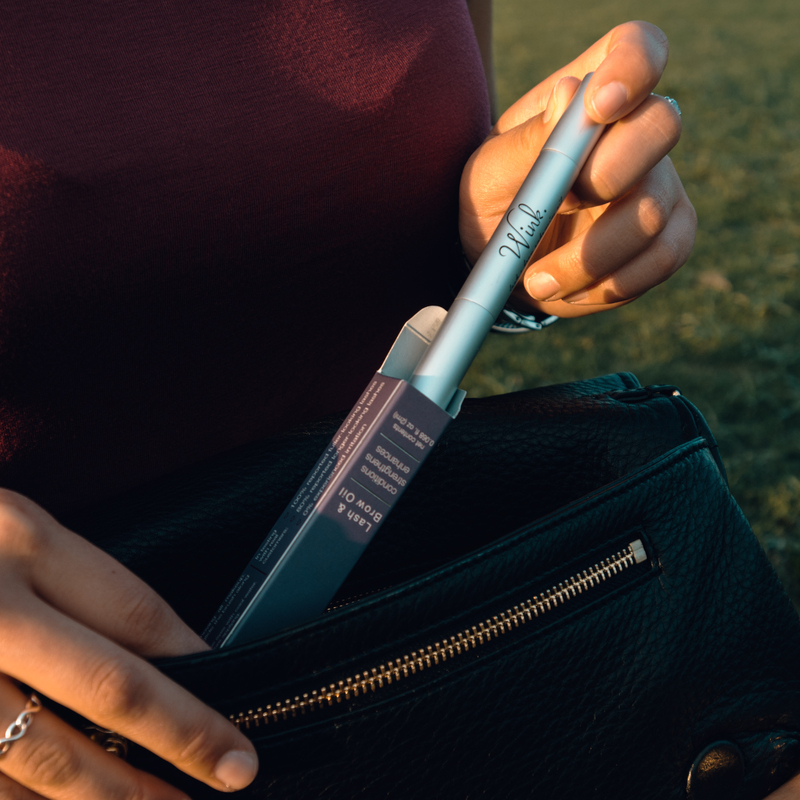 I’ve been using WINK for 4 years–which means giving my lashes what they need and treating them like royalty–and I’ve spent all the time and money I would be spending in the salon instead on testing all different mascaras and methods to make my natural lashes look amazing. To each his own! I just could see where I was going.. if I kept getting lash extensions, soon enough I’d be on lash strips because I wouldn’t have any lashes to attach the extensions to! Same aha, cancelling my appointment after reading this. So I just got my lash extensions done…and I feel like they are too wonky and obnoxious. …After reading your post, I have no desire to get them filled when they start falling out. Do the extensions start to look a little more natural after a couple days? or am i stuck with this Spidery Bambi look for 4 weeks? My first 2 sets were not applied very well; I was one of my aesthetician’s first customers. They never straightened out no matter how much combing or primping I did. I wouldn’t recommend pulling or picking at them, but instead going to the same studio (or a different one) to get them removed. All in all, it can take up to 12 weeks for that last little lash to fall out, so a removal would save you a lot of anguish! Three more words: Easy To Use. Can you tell me how the word Hailixing pertains to eyelash extensions? Is this a manufacture, brand, or what? Sounds like a Chinese brand (which could also be a manufacturer), but I haven’t heard of it before. I just got eyelash extentions put in today, they’re awful and I really hate them but my sister paid to get them done as a gift to me and I don’t have the heart to tell her how much I just want them off. I always thought they would look and feel way more natural then they do but they feel terrible and I can feel lumps of glue in my lashes. Jessica, I would suggest gettin them removed. I’m an Esthetician and there should never be lumps of glue. If they’re done correctly they SHOULD feel natural and light weight. There should be so little glue used that you can’t see it or feel it. Probably went to a first timer or a iffy or crappy salon unfortunately. If you find the right person they can look beautiful and natural. I do lash extensions and I personally have never got them put on and I never would. It’s too much keep up and I would fear for my natural lashes. Like she said just enhance what you got. Never heard of this wink stuff but I want to look into it and try it! This is why I created Dollbaby London. Luxe Mink Eyelashes at affordable prices and most importantly of all, CRUELTY-FREE. 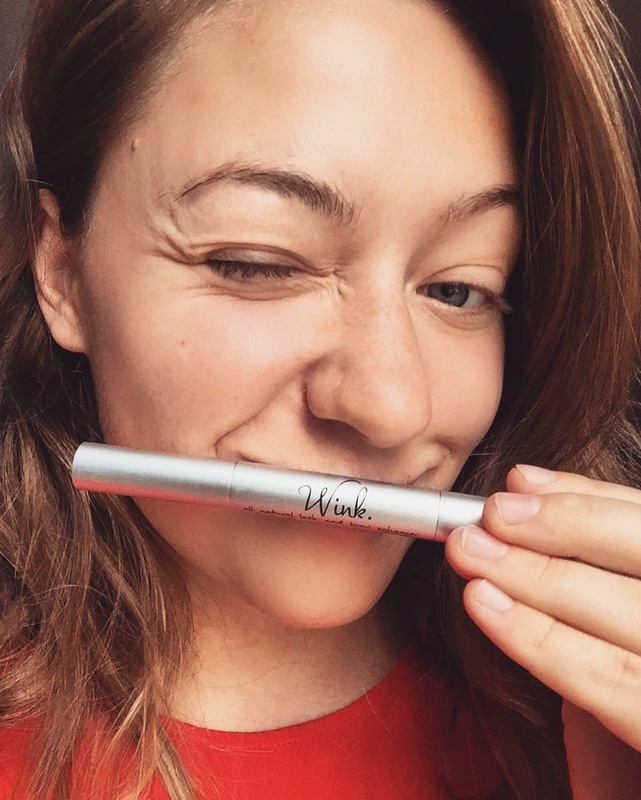 I like the sound of your Wink product and will be looking into trying it out! I’m so torn right now. I saw a friend who is a hairdresser post pictures of hers after having a friend do them in a salon she works at (Salon Lofts, which is where you rent a space and you are the owner). Hers looked great. So I bought a Groupon and have mine scheduled for next month. Now I am seriously having my doubts on wether to go forward with it but I have already paid and can’t get my money back! It’s totally up to you. Just know this: there’s a good chance they’ll look fantastic when you get them on. Then, you need to decide.. do I keep going or not? When the lashes have almost all fallen off, you’ll feel completely insecure and want to go for another fill. It may not be a “one and done” type deal after all. As for the money you already spent, it’s called a “sunk cost fallacy”; Your decisions are tainted by the emotional investments you accumulate, and the more you invest in something the harder it becomes to abandon it. Many people want to get eyelashes that are simply too heavy for their lashes. 3D and up might not be suited for everyone. I see this a lot in my salon. People want to get some ridiculous lashes because they saw someone on Instagram with them. In the end, they end up with damaged lashes and want to complain about it. Keep it natural is key. Also using the right clue is vital and sometimes some people just can’t get lashes at all due to irritation. As a salon owner having the right forms for clients to fill out. I make sure my cosmetologist lay down expectation right from the start. After reading your blog I realized how bad your experience was with your lash technician. To be very honest with you lash extension do not ruin your lashes, lash technicians do! Lash extensions are not for everyone and you are absolutely right about that, but they not bad for you if they are aplyied properly and right length for each client. I wouldn’t be so quick to blame it on the lash technician. She wasn’t great in the beginning, but improved over time. I am not clinically OCD, but I am a picker–I pick at things, bite my nails, etc. So lash extensions weren’t a great fit for me. Any time the false lash would start to peel off or detach from the base of my natural lash–even the slightest bit–I would try to pull it off. They’re really just not for everybody, including nervous tickers like myself. Not sure if my my first comment went through. Anyway I have been wearing extensions for a few months and it’s obvious they having been damaging my natural lashes. I’m in process of allowing the extensions to fall out naturally only because I’m afraid the estitician may damage more by removing. I’m not sure what is best and I’m worried my natural lashes will not ever look the same? Should I use latisse? You can try Latisse. Just know the side effects going in (possibility of darkened irises, darkened skin around the eyes, hollowing around the eyes/periorbital area). It’s not without side effects. The reason I created WINK was to help regrow my sparse lashes after having a bad time with lash extensions. If you’re worried about the side effects of Latisse, WINK is another option. 2.9%? That’s one in every 35 people. This is all on one page of Latisse’s website, the FAQ page. Sorry to hear of your bad experience. I’ve been getting mine done for about 3 yrs now and the only bad issue I’ve had is when I wait too long between fills. It was frustrating to read your article because I don’t understand why you kept paying that price or continued going to an obviously inexperienced/unskilled tech. If she really knew what she was doing she would have been more knowledgeable on what type of Lashes your real Lashes could hold, there are so many to choose from. Your lash fill appts shouldn’t take 2 hrs after your first full set unless you go too long in between. Mine only take about an hour but then my tech is highly skilled & efficient. As for maintenance I hardly remember I even have extensions on. After getting them wet I just brush them with an eyelash brush. You should NEVER blow dry them! The heat affects the adhesive or the strong air will damage your extensions! There are so many “Techs” out there who have no business doing extensions, you just have to use discernment and choose wisely. The only real downside would be the maintenance cost, esp if you’re already dishing out money for nails and hair. The price for “beauty” is costly unfortunately. I am at the end of my eyelash extension cycle and so I have the left over wonky eyelashes. It has hurt my own eyelashes. I can barely see them so I hope I didn’t ruin them forever. I am not going to get the extensions ever again. So my question is…can I use mascara on my own lashes underneath the eyelash extensions to fill in the spidery leftover extensions so that my lashes don’t look so creepy? I made a great mistake agreeing to use extensions when my friend was working in a saloon and her co-workers needed a model for practicing. I got my extensions for free but they looked not so good and my own lashes were damaged. After removing the extensions, I had to heal my poor lashes with the help of Cherish Lash serum and it wasn’t a quick process. Luckily they look much better now. Hi, Hi, Hi! I just came across this post and can relate. I am so glad to read an experience similar to mine. I recently got extensions and are a bit disappointed by them. My natural lashes grow crazy, so some of the extensions are leaning in the same crazy direction. The lashes on each eye are not the same and that bothers me since they are long and exaggerated. I have tried latiesse and lash boost by Rodan and Fields. Both amazing products that work, however each one also made a TON of tiny hairs to grow all outside the treated area. I was constantly plucking under my eyes and the entire eyelid. It appeared as if I had a bunch of tiny dark spots on my eyelids from so many extra hairs growing. I was also very careful to only apply a small amount on the lash line then wiped any excess off . After I stopped using the lash boost the extra tiny hairs are finally starting to lessen. I then used Castrol oil and that helped some. Does Wink have similar effects or could it cause hairs to grow outside the treated area? Thank you so much for sharing your experience and story! It really helps me to know I’m not the only one feeling this way and that someone else has had “wonky” lashes afterwards. That’s so strange… I’ve had many customers ask me about this question – if WINK can grow new hairs outside of the lash line. I get why it can happen with Latisse; it’s a prostaglandin (hormone analog), so a lot of weird stuff can happen. With Rodan & Field’s lash enhancer, I wouldn’t expect that to happen unless it is somehow spiked with prostaglandin. This simply won’t happen with WINK. Um… this is really about selling a product. I have had none of these issues. And you can shower and even clean your face. You just cant get the lashes wet. I cleaned my face the same night I got them done! There is no way I’m going 48 hours without showering! I have very crazy lashes and was told that the lash extensions might not hold up as well. But honestly they have lasted a month and since I know where to go to get them done it only cost me about $50 a session. I’d say that is much better than applying mascara any day. In fact I use no make up but an eyebrow pencil and get compliments all the time! That’s great! My experience certainly wasn’t that good. Of course this blog is about selling a product – you came to my site to read my blog, which is run by my company that sells my product. If I would’ve had a great experience with lash extensions, I never would have HAD to create Wink. It certainly wasn’t my intention to go to MIT to get into the beauty business. I’m just one voice of many, but I know from my inbox and long list of customers (including some celebrities) that I’m not alone in this. Lash extensions can be great! And they’re usually great.. until they’re not. My only question is, if you’ve had only a great experience, why are you here – on a blog about “lash extension pros and cons”? I’m assuming you found it by Googling the same. Interesting post. I am like you, a constant fidgeter and nail biter and decided to get my lashes and nails done for a wedding and to cheer myself up. They looked great and I received loads of compliments-like someone else said, just a dab of foundation a good lippy and away I went !- but after a couple of weeks a lash or two came loose. My mistake was not to book myself in sooner but it came to a point where I wasn’t happy with them half on half off, poking my eye etc and so have ended up pulling them all off leaving me with half short stubby lashes and even a bald spot on my left eye. As I am a constant nail biter I have also managed to pull off my acrylic nails and so look doubly worse than when I started! Tried varnish before but that doesn’t help me either. Love the look of false nails/lashes but I don’t know if I am too fidgety to get them. Have another appointment booked for this week but may cancel due to length of lashes (bald spot) worried about damaging my eyes. It is good to be able to wake up and wow there you go bt as someone who goes to the gym a lot / is quite nervous maybe it’s not the best idea. Thanks for your blog and the above comments! I feel reassured I’m not alone in this but still not sure how best to continue. I’ve heard lashes take a few months to grow back so prob best not to get it done again? Then again I feel ridiculous without any! Ahh I cringed a bit reading your comments, remembering how I used to pull my acrylic nails off. That experience is waaay worse than lash extensions *shiver* I suppose I’m just not cut out for the ~fabulousity~ of fake nails and lashes. I can’t leave varnish on either. I now use water nail polish if I HAVE to have my nails done, and it peels off almost immediately – sans damage, at least. Yeah, I’d wait and just let them come out on their own! It will take a while – maybe up to 3 or 4 months – for your lashes to all cycle through and start to look normal again. Feel free to bookmark and come back if you still have any bald spots in your natural lash at the end of that time period. I’m sure WINK would help. Thanks Megan, you’re right, best to cancel for now and give it a rest. Fabulous as they looked and I felt, I’m too nervous and fidgety to cope with anything high maintenance :-/ The product sure does seem interesting, a friend is also using one here in Spain, though I’m not sure what it’s called. Her lashes look great though. Do you ship to Europe? I’m thinking of giving it a go. Can’t be worse than ripping off those half lashes can it? 😉 in the meantime, maybe now I’m in my 30s it’s time to cure these nervous tics! We do, yes! Free shipping worldwide with no order minimum. It does take about 10-14 days to arrive, but hey! Free shipping. Interesting post. Sorry you had a poor experience but happy it led you to create a great product. The salon I go to cares a lot about keeping your eyelashes healthy and will never glue an extension to a lash that is not strong enough to support it. It really is all about who you go to. Just like with nails! Oh and in response to your comment above about finding this blog by searching “lash pros and cons”…this popped up after I searched “will I enjoy being a lash tech” lol. Just wanted to throw that out there! Actually, that’s a pretty good analogy! I’ve been to some great nail techs and well.. you know how things go. I have had has lashes done since December 2016 and now my eyelids are constantly itching. I will miss the lashes but I reckon it’s time I take a nreak! I don’t want to end up with no lashes! Breaks are great for your natural lashes! If you have lots of itching, I’d check to see if you have a new allergy. Perhaps you’re even allergic to the glue! Hi I recently had my lashes done a month ago and I’m not going in for a fill because I can see my natural lashes underneath don’t look the same as they do before. I have naturally long and thick eyelashes and only got extensions so I wouldn’t have to put mascara on. The natural lashes that fall out with my extensions are really bent and have no curl. My aesthetician also put volume lashes (a few fans with 8+ lashes on each) without telling me. This was my first time getting extensions, how long do you think it will take for my natural lashes to go back to normal if ever? Most likely, it will take more than a full cycle for your lashes to go back to normal. We’ve seen from other readers that sometimes when lashes are pulled out mid-cycle then grow back in, they’ll stick straight out or have some quirkiness to their shape and orientation of growth. I would expect that if the lashes fall out naturally, then grow back in, they’ll be fine. Best of luck! I have been wanting to get lash extension so I have been asking friends questions. I just made an appointment couple hours ago. After reading your post and other readers’ comments, I am definitely cancelling my appointment. I really don’t want my short and thin eyelashes stop growing or the need to deal with itching eyelids. Thank you again for your honest opinion. My fiancé thanks you for saving us money and time.